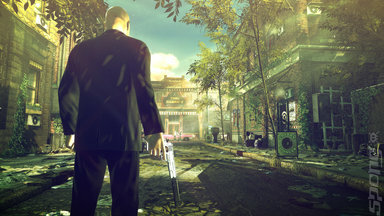 With his silent, softly-spoken demeanour and sharp, piercing stare, David Bateson is every bit the real-life counterpart of Hitman’s lead character, contract killer Agent 47. And for good reason - Bateson has been involved in the long-running game franchise since the very beginning, providing the chilling voice of the series protagonist. Some eleven years since Hitman: Codename 47, and Bateson is back with a rather impressive supporting cast for Hitman Absolution. But the road to his return has not been particularly smooth, with claims that Square Enix shut him out of the franchise and was looking towards a replacement. Pressure from fans forced the publisher to approach Bateson once again, and for the South African actor the opportunity to slip on those proverbial black gloves once more was too good to pass up. 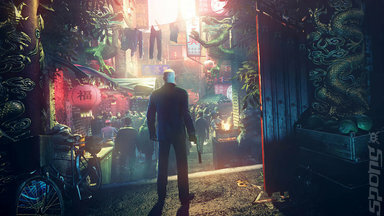 SPOnG: How does it feel to be getting back into role of Agent 47 for Hitman Absolution, after initially stating that there was no role for you in the game and that you had been unceremoniously booted off the franchise? David Bateson: Well, it was politely put, wasn’t it? [Laughs] I’m very, very happy to be back. [The initial situation] was just a business decision. I have to - and I did - fully respect that. I must say it’s very great to be back on the franchise again. SPOnG: What’s your experience been with the games? Have you played them much yourself? 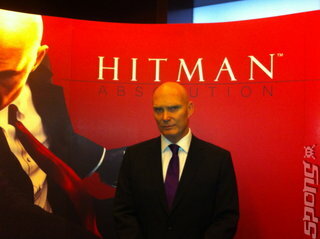 David Bateson: I have, but I don’t know much about Absolution - besides the sequences I voiced, obviously. So I’m very much looking forward to playing it. My favourite one is still Silent Assassin and the St. Petersburg sequence, though. SPOnG: The movie and the game industries cross paths an awful lot these days - obviously the Hitman movie was one such result of that back in 2007. That film was ultimately panned - do you think that there’s a risk of a movie damaging the reputation of the source material? David Bateson: Ooh, that’s a good question because... yeah. That’s the short answer. The whole Hitman franchise really demands a lot of you, the player. Especially when [the first game was released and] it went the other way to a lot of [standard] shoot’em ups. A game where you have to shoot as few people as possible. What? I have to use my brain? So that created a new demand or set of parameters for the audience. And then, in a way, you go and ruin it by making something extremely public, like a film. So on the one hand you think that this gives publicity for the game, but... it’s like a book being turned into a film. It’s never going to satisfy the readers. Whether the film is good or bad. I think I’ll reserve judgement on the [quality of the Hitman] film itself. SPOnG: What did you think of the portrayal of Agent 47 by Timothy Olyphant? He was very different to how he was portrayed in the games. David Bateson: Yeah. There was... a lot of politics there [laughs]. Twentieth Century [Fox] produced the Deadwood TV series and they obviously found it useful to use one of their own actors. And there was a movement to have me feature in the film, because the marketing was largely based around, if I’m right in saying, the legend of Agent 47. You didn’t know what he looked like, until it was too late! You’d be dead! So there was a window of opportunity, perhaps, to have used an unknown actor, such as myself [for the part], but you know that’s not how Hollywood works. [Timothy Olyphant] is a good actor. But I thought he was inappropriate when you saw him without hair. It just looked like, ‘Does your mummy know where you are?’ It didn’t have the weight. SPOnG: Is there anyone that you would have cast instead? David Bateson: Oooh, now let me think... [laughs] Besides the obvious? Well... I don’t know what’s become of the Kane & Lynch movie, but at one stage Bruce Willis was signing up for it. Assuming that Hollywood doesn’t do what Hollywood does, I’d think someone like Willis would be appropriate. 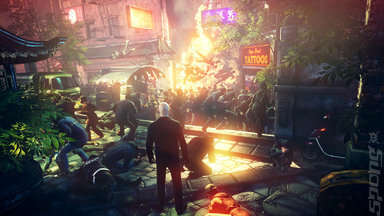 Especially in this version [Absolution], where events are set some years later and Agent 47 looks weathered and beaten. He’s older. If they could only make a film in Hollywood like they do in Europe, and be loyal to the franchise... Agent 47 is a Silent Assassin. He’s not knocking down helicopters with police cars and things like that. If a film was made that understood and avoided that, then I think Willis would be good casting. SPOnG: Having been involved in the Hitman franchise since the beginning, do you have any creative input in how Agent 47 is portrayed? Like Michael Ironside does with Splinter Cell’s Sam Fisher? David Bateson: Yeah, I’ve read about Michael Ironside. I think he probably has a bit more influence in his role than I’ve had. But being a part of this from the beginning - which is now 12 years - I’ve won the opportunity to get to know the character over such a long time, which has been pretty unique for me. I’ve also had the opportunity, during recording, to suggest retakes of various lines, and tweak certain things. Deliver certain lines with a bit more melancholy and edge, for example - some stuff that wasn’t in the script. So sometimes I can come up with a suggestion, which may or may not be used. I will say that it’s become such a very well-oiled machine, the recording process - there isn’t the same kind of relaxed attitude when there are four people in a studio. It’s extremely professional, pretty locked down. 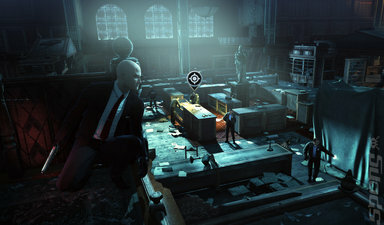 SPOnG: You must have had a unique perspective on various matters regarding Hitman Absolution, having recently been re-cast and having not played the game. Such as the Nuns controversy, and the accompanying trailer. Do you have any thoughts on that? David Bateson: I read all about that because I’m an avid follower of Hitman Forum and other such fansites, as well as the media. And I thought, ‘Well those nuns can come knocking on my door anytime!’ [Laughs] But seriously, no, I don’t have any opinion as to what’s appropriate there. I leave those kind of tasteful decisions to IO and Square Enix. 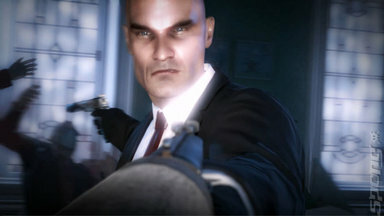 SPOnG: Are there any characters that influenced you when you portrayed Agent 47 in the games? David Bateson: Me, funnily enough. I mean, I’m not a killer! Some people I’d like to kill! [Laughs] No, I mean me in the sense that... well, the producers could never know this, but part of my upbringing was very fragmentary. I moved around a lot, went to a lot of schools in the space of 12 years, that sort of thing. I kind of grew up feeling like I didn’t quite belong, or have a connection to things. So when Agent 47 was searching for his maker - wanted to have some kind of sense or get in touch with his humanity - I could definitely relate to that. I think that’s where I sneaked in a few of my own interpretations, in regards to script delivery. SPOnG: You did the voice acting for Agent 47 in this game, but another actor performed the motion capture. With developers now moving to assign just one actor for voice and performance in lead roles, do you worry that this might happen to you with Hitman in the future? David Bateson: Well, having been replaced once... [Laughs] It’s just a fact of life. I mean, I would leap at the opportunity to be even more involved in the next game if I was a part of it. Even if it’s motion capture, I’ll stick my hand up. So I don’t think that’s been an issue. In the past, I think we’ve used stuntmen and different people in Denmark, and of course this time there was a performance actor who was used. But for future games, I’d jump at the opportunity to come back. 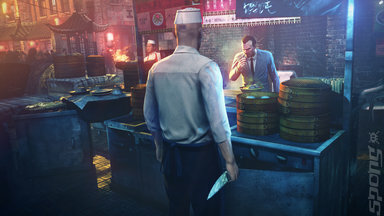 SPOnG: Apart from larger scripts, what would you say the key differences are in your job between voicing Agent 47 in the first Hitman game, and doing so now for Hitman Absolution? David Bateson: It has all become more dramatic, in the sense that the drama in game is now very intense and well-scripted. And the way you engage with the game is different because of it. You can’t just sit down and play ten minutes of this and then catch the bus. You really get involved on another level. You get a richer experience. I’m curious to think what the next step is - maybe 3D masks? You know, put on a headset and you’re there in the game world? Who knows. But the gaming industry is huge now, and evolving faster than we’re probably even aware of. So I don’t know where the future’s going but it’s definitely demanding more of us, and the audience is also becoming much more sophisticated. I think the future looks bright. 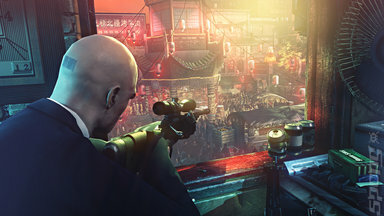 SPOnG: Do you find that your portrayal of Agent 47 has made you more interested in the gaming industry? David Bateson: Definitely, and I’ll tell you why - because I didn’t know gaming could be so involving. And I think that was my underestimating the whole form for entertainment. I used to love playing single-player shooters, but I always got kind of bored. I lost interest, and I think as the industry has become more advanced, both the audience and the producers are having to think of new ways to keep each other engaged. Whether it’s a more involved sense of interactivity, or just a more demanding experience. For instance, not being able to save until you beat a particular segment of a game, even though you’re tired... I find that player-game relationship interesting in the same way as I do as an actor on the stage, when you’re demanding people sitting in the dark to suspend their disbelief and pretend you are Macbeth. It’s something weird in that both the audience and actor need each other - and it’s the same with producers and the gaming community. They inspire each other to raise the bar. SPOnG: Thank you very much for your time.